Posted on December 16, 2015 | Comments Off on Do You Know Your Heart Age? As we age, some of us may stop counting birthdays or may not like to admit our chronological age, especially when we feel young at heart. 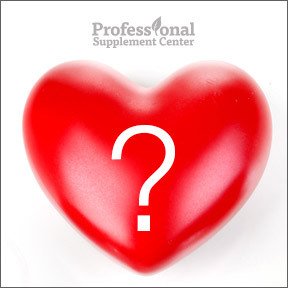 Did you know that according to the Centers for Disease Control and Prevention (CDC), a majority of U.S. adults aged 30 – 74 have an average heart age that is 5 – 7 years older than their real age? Doctors are using a heart age determination as another way to look at a person’s risk for having a heart attack or stroke. While long established risk factors have not changed, studies show that patients are more likely to make healthy lifestyle changes based on heart age, as opposed to accepted risk factors for developing cardiovascular disease. When 800,000 Americans die of heart related conditions each year, anything that helps drive home the dire need to make healthy lifestyle choices that reduce the chances for heart attack, stroke or peripheral artery disease can help not only to improve lives but to save lives. The concept of heart age may be new, but one trial showed that people who learned their heart age were able to reduce that age by 1.5 years over one year’s time, while those who received the traditional risk assessment were less successful in reducing their heart age. Heart age assessment depends on a number of risk factors for heart disease, including age, smoking status, high systolic blood pressure, unhealthy diet, physical inactivity, high cholesterol levels, obesity and diabetes status. While doctors have long used these measures to predict a patient’s risk of heart attack during the next decade of their life, the study showed people are more likely to take their risk levels to heart when they learn the startling truth of their actual heart age. While people need to know their cholesterol and blood pressure levels in order to assess heart age, when a 50 year old overweight male smoker with untreated high systolic blood pressure is told he has a predicted heart age of 72 years, it is more likely to get his attention. After one year of not smoking, his heart age drops by 14 years. And if he lowers his blood pressure, 19 years. A 50 year old non-smoking, obese, diabetic female with high blood pressure has a heart age of 85 years! Learning that your risk of heart attack or stroke is the same as someone 20 – 35 years older than you provides significant motivation to make healthy changes. While changing behaviors is never easy, studies show that about 75% of heart disease and stroke are preventable, especially when you truly understand your risks and leave the “it won’t happen to me” mentality behind. Because it can and it does. And while risk factors such as age and genetics cannot be controlled, healthy lifestyle changes can make a huge difference, especially when you think in terms of your heart growing younger. If we could reverse our actual age with a health conscious lifestyle, many of us would sign up for that today. You can start to lower your heart age by choosing 2 risk factors that you can change, such as getting regular exercise and not smoking, then work towards improving those first. Studies show that 3 in 4 heart attacks and strokes are due to risk factors that increase heart age. Give yourself the gift of better health by taking steps at any time to lower your heart age and assist you in keeping it low over time. The more lifestyles changes you make, the more your heart and overall health improves. Every day simple choices can have a direct impact on your longevity. Cardio Protect by BioGenesis Nutraceuticals – This complete botanical and nutritional formula supports coronary and systemic vascular circulation, encourages healthy calcium metabolism, and provides cardiovascular mitochondrial energy and muscle contraction support. Cardio3 Q10 Omega 3 by Bioclinic Naturals – This highly bioavailable formula contains therapeutic amounts of omega-3 fatty acids, CoQ10 and a proprietary blend of high ORAC value whole berry antioxidants in support of cardiovascular health. Gluten and dairy free. Cardio – Stolix by Douglas Laboratories – This natural ingredient blend provides synergistic herbs, vitamins, minerals and amino acids in support of vascular and circulatory function and general cardiovascular health. Gluten free. Bio-CardioSirt BP™ by Biotics Research – This unique formulation provides 7 key micronutrients, including vitamins, minerals and a proprietary blend, that have been clinically shown to support normal, healthy blood pressure levels. Gluten and dairy free. Comments Off on Do You Know Your Heart Age?